While the 2018 personal income tax season is rapidly coming to an end, Canadians — including those at the MobileSyrup offices — continue to report receiving phone calls from the CRA demanding money. These calls vary in duration and source of origin. Some are simple phone calls from individuals threatening jail time, while others are lengthy voicemails explaining that call recipients are part of a criminal investigation and need to call back for more information. Regardless of the precise type of call, the facts are often quite simple: the call is intended to intimidate individuals into handing over personal information — and money — to avoid further harassment. The Thunder Bay Police published a tweet on January 5th, 2018 that shared an interesting statistic. According to the tweet, the department received approximately 45 calls each hour on January 4th, from individuals claiming to have been targeted by Canada Revenue Agency (CRA) scams. The number seems high, but according to a recent CBC News report, approximately 56,000 complaints have been submitted to the Canadian Anti-Fraud Centre about CRA scams since the RCMP began tracking scam calls in 2014. A total of 12,000 complaints were submitted in 2017. According to that same CBC News report, approximately $10 million CAD — $3 million in 2017 alone — has been lost as a result of unaware Canadians choosing to pay fraudsters impersonating members of the CRA. It goes without saying that these numbers are troubling and substantial, especially since each year, various governmental agencies take it upon themselves to remind Canadians that the CRA will never attempt to coerce payments over the phone or through email. In fact, according to Paul Murphy — the communications manager for the CRA — the Agency will only call to collect outstanding payments after at least two written messages. “Yes, the CRA does call Canadians to collect outstanding debts, but these generally come after written communications first,” said Murphy, in a phone interview with MobileSyrup. Even then, the CRA won’t try to intimidate listeners into making a payment. Still, as Allan Boomhour, a team leader at the Canadian Anti-Fraud Centre (CAFC) told MobileSyrup, people often fall for scam calls because of a combination of aggressive call tactics and innate trustworthiness. Over the course of researching and writing this story, a number of MobileSyrup staff members received scam calls informing us that we owed varying amounts of money to the Canadian government. Though we were told that we were part of criminal investigations and we were threatened with jail-time, the scammers never immediately asked for credit card or Social Insurance Number (SIN) information. Instead, the scammers simply confirmed a variety of personal details — including our home addresses — and told us that we should expect another call at a later date. We were told that this next call would provide us with the steps needed to pay off the amounts we owed. When we told callers that we were willing to pay our debts immediately, the callers would often hang up or try to assure us that we didn’t owe any money just yet. Attempting to call back the scammers resulted in them refusing to answer our calls — an ironic twist that gave away the nature of the call almost immediately. As one can imagine, it’s easy to identify a scam call because most have a pattern. The callers try to intimidate listeners. They refuse to provide more meaningful information. Sometimes the callers will insist that listeners need to wait for more information that will come at a later time. The ultimate goal is to convince listeners that they need to provide whatever information is demanded by the callers. However, as Paul Murphy told MobileSyrup, when the CRA does call, representatives never make threats. If taxpayers can’t pay their debts, the CRA also works with them to figure out how they can manage their debts. “We’ll work with you to make a mutually acceptable payment arrangement,” said Murphy. According to the CRA, anyone who has provided information or money to scammers should contact the CAFC, local police authorities, as well as their financial institutions. The CAFC exists as a joint partnership between the Ontario Provincial Police (OPP), the RCMP and the Competition Bureau. The CAFC also serves as a relay between multiple agencies, allowing different law enforcement groups to trade information about different investigations. “The analysts run their searches, put together their packages and provide that to [local] police,” said Boomhour. It’s important to note that the CAFC itself doesn’t investigate crimes. “Our role is to take in what we can and share that with our partners,” said Boomhour. 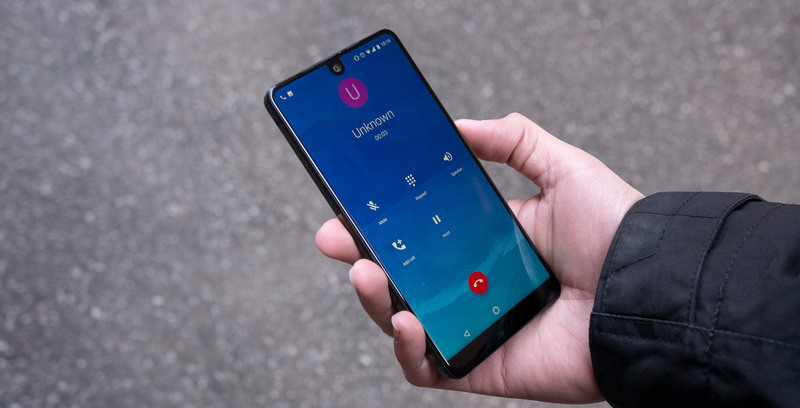 As for stopping phone calls before they’re received, a Canadian Radio-television Telecommunications Commission (CRTC) spokesperson also told MobileSyrup that while the Commission doesn’t deal with fraudulent phone calls, the agency is in the process of implementing universal call blocking. “It seems to me that if such a system were in place, it would help intercept illegitimate calls such as the CRA ones in the network, before they even reach the consumer,” said the CRTC spokesperson. Barring any legislative solutions, smartphones users do have a few options to block spam calls and unwanted calls more generally. Additionally, the upcoming version of Google’s Android operating system — the as-of-yet unnamed Android P — might include a feature to automatically block unknown numbers, private numbers, pay phones or any numbers that aren’t already in a user’s contact list. For now, however, Canadians simply need to stay vigilant and inform the appropriate authorities if they believe they’ve received a scam call. Victims can contact the CAFC toll-free by calling 1-888-495-8501. Victims can also contact the Competition Bureau toll-free by calling 1-800-348-5358. Taxpayers can reach the CRA by calling 1-800-959-8281.